Girls and shopping are such good best friends, right? I only knew a very little amount of girls who don't like shopping. I believe they do, but you know, they shop less than us, shopaholics. 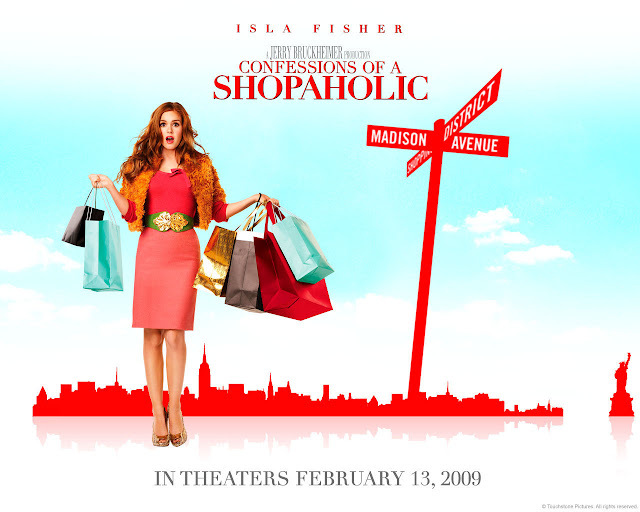 Based from the best selling novel written by Sophie Kinsella, Confessions of a Shopaholic gives us something simple, authentic, and of course, very relatable. Girls want something, girls need something, girls love to shop, girls love to buy themselves something new for every occasion, right? 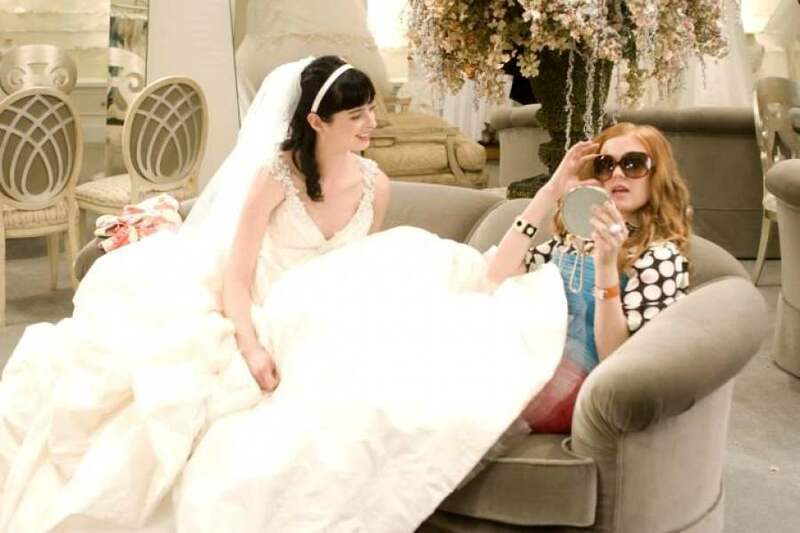 Confessions of a Shopaholic is such a very simple and predictable movie. It gives a great amount of humours, romance, family and friendship drama. This is the perfect romantic-comedy movie, like your summer fling, it doesn't have to be complicated to have a deep moral of story, right? The plot of this movie doesn't have much differences with the novel. I honestly didn't mind with it like the novel sets in London, but the movie is set in New York because we know, the city is such a huge fashion runaway. I think that's a good different, thou it doesn't change much to the actual plot line. 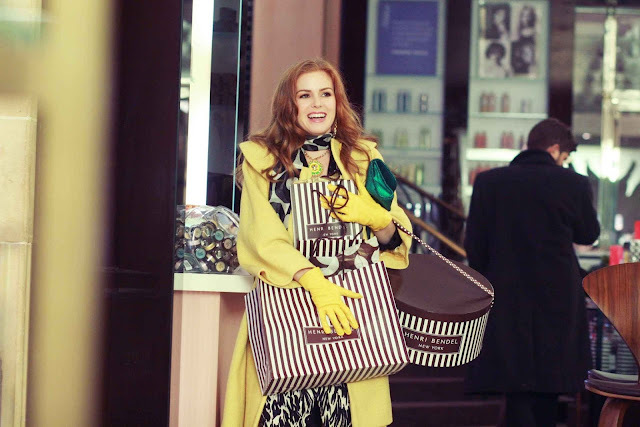 Start with Rebecca Bloomwood (Isla Fisher), a beautiful journalist who really loves shopping (and also lying) but, she has debt. Like a lot. Then, the world seems against her, the place where she works is broke. After losing her job, she decides to apply to her dream job, working at Alette Magazine. Long short story (because I don't want to give up too much! ), she meets Luke Brandon (Hugh Dancy), a handsome, wealthy man who is apparently the chief editor at Successful Saving, a money magazine - that's how Rebecca called it. I like how the movie captures the story line compact but still explains everything. Thou I want to see more of Becky and Luke, but well, I guess it's quite enough. The most important thing about this movie is the chemistry between Becky and shopping. Isla Fisher such a perfect actress to portray this unique yet relatable character. Her eyes, her body language, tell us more than the words could ever say. We can feel how enjoyable and amazing it is to shop, and also how stressful it is to realise you have debts. The second important thing is chemistry between Becky and people: her parents, her best friends, Suze (Krysten Ritter), and of course Luke. Chemistry between Isla and Krysten is undeniable. They both clearly get along on and off set, both are comedians, and they both are like perfect combination. I often forget that at some point they were acting because how reliable they are. I laugh and cry with them through their friendship journey. As a fan of the book, I'm so grateful they casted Krysten to be Suze because she's such a great character. Another great chemistry is between Isla and Hugh. 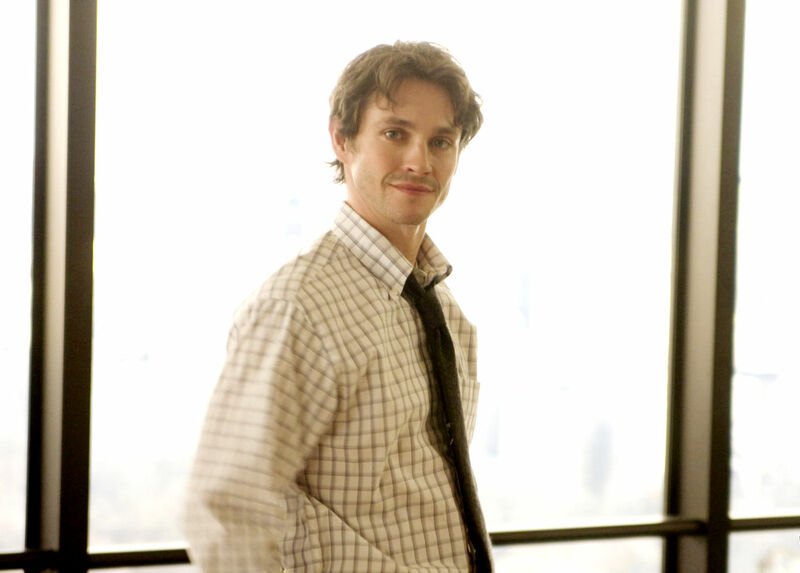 Luke is definitely one of my favourite book characters and for me, personally, Hugh Dancy is how I picture him: handsome, charming, has soft voice, and of course, warm personality. Thou Luke is not really a warm person, but we get to see he gets warmer through scenes. Hugh portrays him as stronger, charmer and kinder version of Luke. I don't mind it at all because he did a great job. His acting is very reliable, his chemistry with Isla and even with his job is so strong. The ending is very sweet. I picture differently, but this one even more perfect. I love how they create such a perfect ending without making it too much. If you're looking for a serious, deep romance, Titanic-ish movie, this is not for you. This movie is a goofy and sentimental but yet, it still has something left inside us when we finish watching.